FUEL EFFICIENT 25 MPG Hwy/17 MPG City! Octane Red Pearl Coat exterior, GT trim. Nav System, Third Row Seat, Heated Leather Seats, Heated Rear Seat, Back-Up Camera, Rear Air, Aluminum Wheels, Quad Bucket Seats, Power Liftgate. CLICK NOW! Leather Seats, Third Row Seat, Navigation, Quad Bucket Seats, Power Liftgate, Rear Air, Heated Driver Seat, Heated Rear Seat, Back-Up Camera, Flex Fuel, Premium Sound System, Satellite Radio, iPod/MP3 Input, Bluetooth, Aluminum Wheels Rear Spoiler, MP3 Player, Power Third Passenger Door, Keyless Entry, Remote Trunk Release. It`s hard not to love Dodge`s ultra-useful Stow `n Go second-row seats that disappear into the floor with the flick of a lever. 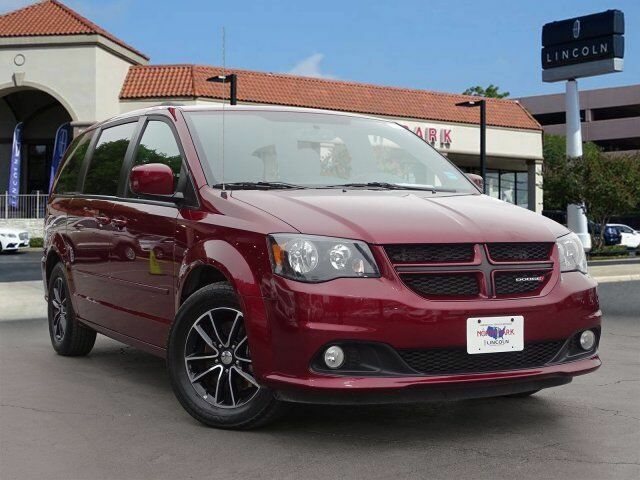 Standard on every Grand Caravan, they transform from max people-carrying mode to max cargo-carrying mode with little effort required. -Edmunds.com. Great Gas Mileage: 25 MPG Hwy.